"He made a couple of moves where I felt like, 'Holy mackerel," said Gibbs, his boss for the last 12 seasons. "Really with a passion, the way he drives the car, we appreciate it so much. I think he's an unusual athlete. If there's anything in front of him, he's driving a race car, he's going to try to get it. That showed up today." Busch reached the brink of the record by sweeping last weekend's two races at Phoenix, but he missed his first chance to tie Petty in the Fontana Xfinity Series race Saturday because of a disastrous late pit stop. He also could have hit the mark sooner if he hadn't been nabbed for speeding on pit road two weeks earlier at his hometown track in Las Vegas. 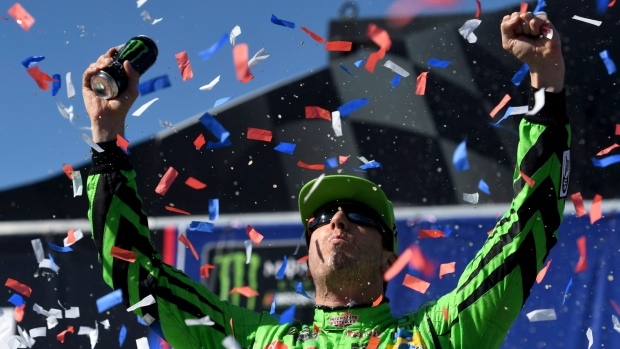 Busch had barely crossed the line Sunday when his mind went to those disappointments — no surprise to those who know his singular mindset.